Do You Have An Ethical Dilemma Offering Private ALCA or Geriatric Care Business ? Most aging life or geriatric care managers came to the field with inner core beliefs that health care should be available to all elders, yet they chose to start a business. So here ‘s the rub. That business cannot prosper if the aging life or GCM does not have long term clients who can pay for it. The federal government does not fund the profession, so elders have limited access. Should you be part of this? 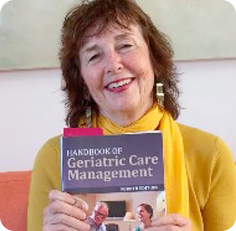 Only the upper 10% can afford those fees long term, Bob Toole a long term member of ALCA ,writes in the new 4th edition of Handbook of Geriatric Care Management, out October 26- two days . financial resources can afford to pay – thus the ethical dilemma.